Don’t just play games – Live the Adventure! 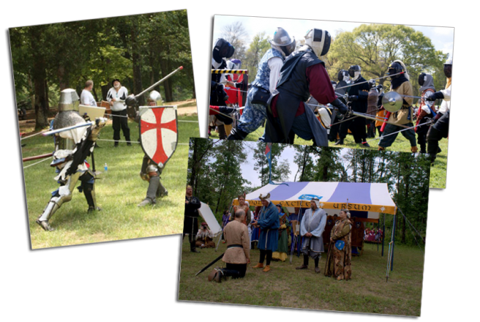 Join us in the fighting, feasting, and fun, where Chivalry happens – and we party like it’s 1399! Click HERE to drop us an email and we’ll fill you in on all the details! Welcome to the new home page for the Barony of Small Gray Bear! We are a local branch of the Society for Creative Anachronism in the Kingdom of Gleann Abhann. We are located in in central and southern Arkansas (Little Rock, Jacksonville, Pine Bluff, and most places in between). If you are new to the SCA, you may find the FAQ located on this site will answer many of your questions, or feel free to Contact us! This is the recognized web site for the Barony of Small Gray Bear of the Society for Creative Anachronism, Inc. and is maintained by THL Juan Carlos Santiago y Benevidez (MKA Leif Hassell). This site may contain electronic versions of the group's governing documents. Any discrepancies between the electronic version of any information on this site and the printed version that is available from the originating office will be decided in favor of the printed version. For information on using photographs, articles, or artwork from this web site, please contact the Webminister at gro.r1555823842aebya1555823842rglla1555823842ms@re1555823842tsini1555823842mbew1555823842. He will assist you in contacting the original creator of the piece. Please respect the legal rights of our contributors.